Professional Lawn Care from Bug Out! What complements the exterior of a home the most? A well-kept lawn to increase your curb appeal. 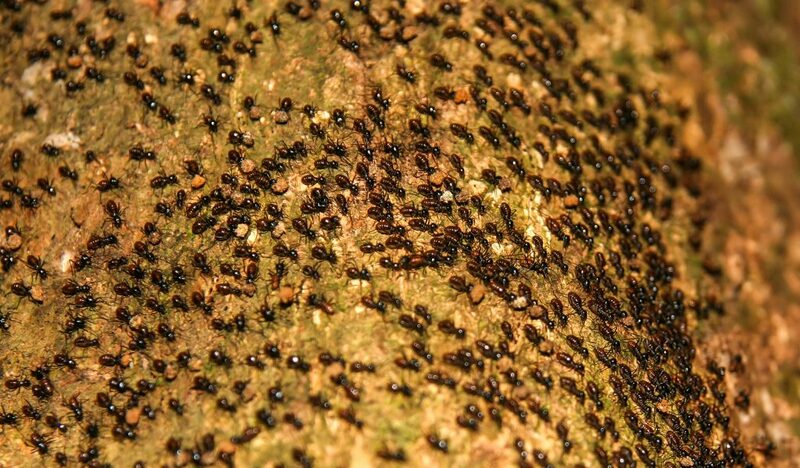 If you are looking for someone to manage all of your lawn care needs, hire the professionals from Bug Out Pest Control. The lawn manicurists from Bug Out are both reliable as well as knowledgeable. They keep your ideas for design and aesthetics in mind while upholding a high standard of professionalism and maintainability to ensure long-lasting results. Not only are they skilled in improving the beauty of your lawn, both commercial and residential, they also offer lawn services to prevent harm to your yard from natural causes. Lawn Services Offered by Bug Out! Bug Out offers a wide variety of lawn care services to keep your yard looking beautiful and healthy. 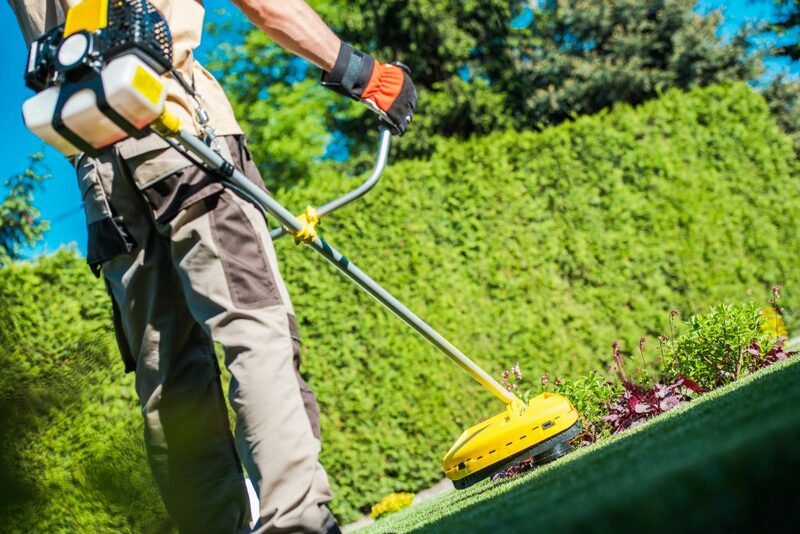 These three services are a vital part of keeping your yard looking lush and green. 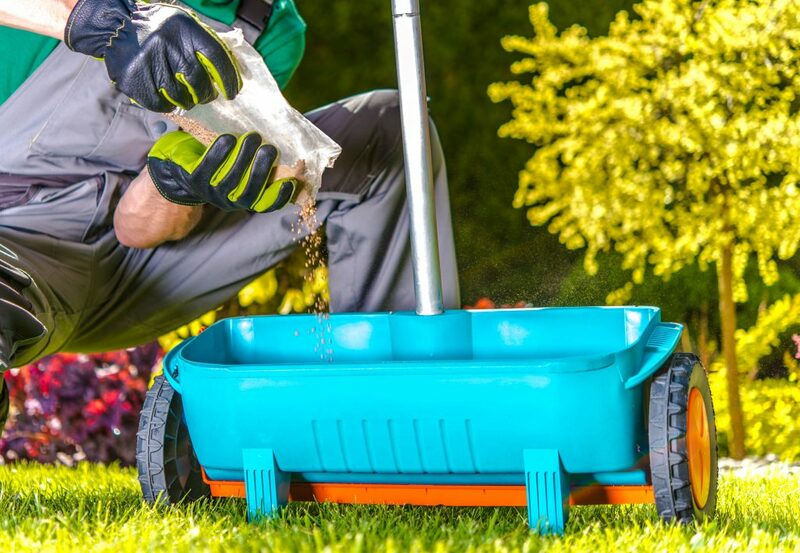 The fertilizer itself acts as a conditioner for your grass that promotes strong roots, a greener color and enables your grass to fight off diseases, all while stimulating natural growth. Aeration is a process to reduce compaction in your grass, allowing for water to reach deeper roots in the soil and improve overall soil quality. Overseeding follows to thicken bare areas of the lawn and to promote more even and uniform growth of grass across all areas of your lawn. As Bug Out has been around mid-Missouri for over four decades, we are familiar with the weeds and fungi growing in the area as well as how to properly address them. Don’t let your lawn get bogged down with damaging weeds and fungi. If not properly addressed, these invasive plants can cause serious damage to the health of your lawn. Professional follow-up treatment is key in ensuring your weeds and fungi do not return. Our name says it all as we also offer pest control services! We can take care of any pest from local vermin to swarms of unwanted insects. We know the local pests and are well known for our ability to effectively remove them. Over time we have carefully crafted a safe yet efficient method for removing pests at both commercial and residential properties. Our process is humane and we always keep our homeowners in mind as we understand that having an unwanted pest can create a stressful environment. Our professionals are happy to take that stress away and handle any pest problem that may arise. While fertilization acts a conditioner for your grass, liming your yard is like giving your grass beds a powerful multivitamin. Your soil’s pH level is important for steady growth throughout your grass. In order to balance your soil’s pH levels, acid is required. The dose of acidity to your lawn adds both calcium and magnesium to your grass which are active ingredients used to self regulate growth. 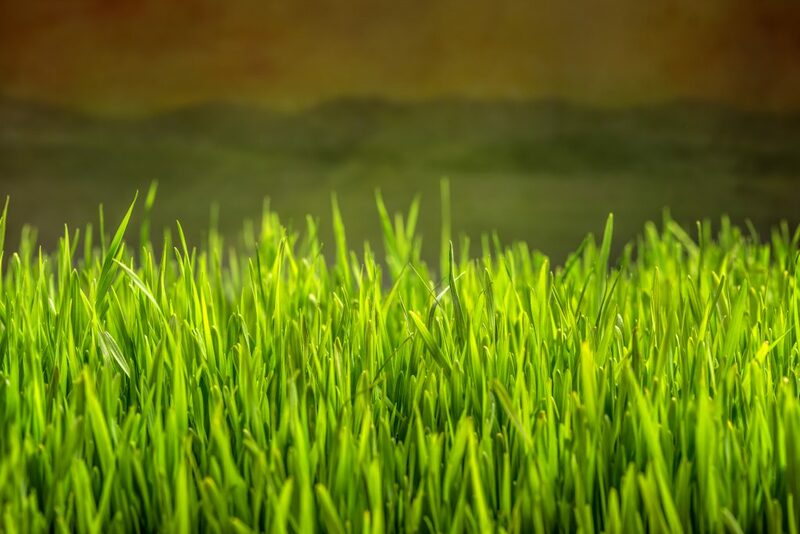 Different kinds of grass require varying amounts of acid to maintain a healthy pH level and therefore a consistent appearance of green, lush grass. The Bug Out team knows these levels as well as the best course of action to maintain them. AT BUG OUT PEST CONTROL & LAWN CARE, WE ARE DEDICATED TO CREATING AND MAINTAINING HEALTHY, BEAUTIFUL LAWNS. We work closely with our clients to develop a long-term lawn care plan that fits their needs and budget, and we never tack on any hidden or extra charges. We take every precaution to protect you and your family and only use the safest landscaping products and methods. Our mission is to provide 100% customer satisfaction in every aspect of our work. So if you’re interested in experiencing the convenience of professional landscaping or are unhappy with your current company, trust the experts at BugOut Pest Control for prompt affordable service you can depend on. Call us today to schedule a free at-home consultation with one of our many qualified lawn care professionals.